After coming up short against Western Kentucky in the first round of the Conference USA MBB Tournament, the Mean Green’s hard fought season has come to an end. 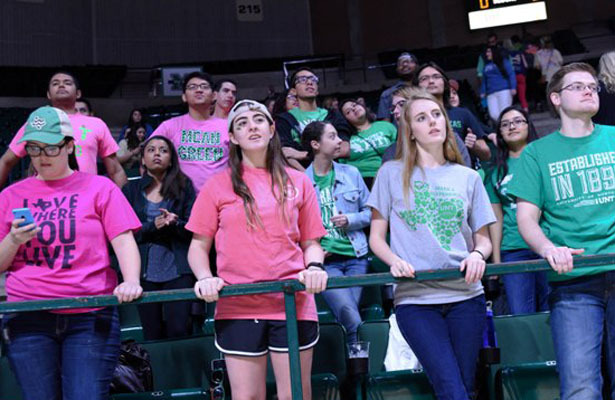 Despite a valiant effort, the Mean Green could not finish strong and ultimately lost 84 to 76. The Mean Green appeared to struggle on offense as they made only 46 percent of their field goals, and 30 percent of their three-point shots. The committed 13 turnovers, and only forced two. 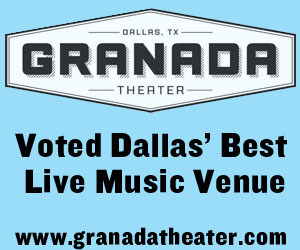 Lack of production on offense is what really hurt the Mean Green. Committing turnovers also hurt the Mean Green. Perhaps what hurt the Mean Green the most is that Jeremy Combs left the game early. Combs missed the season finale due to an ankle injury, and he was a game-time decision for this game. But after just a minute and a half, he was re injured and had to be pulled out. Eric Katenda led the Mean Green with 22 points going 9 for 15 on his field goals. Deckie Johnson scored an additional twelve points with seven rebounds. 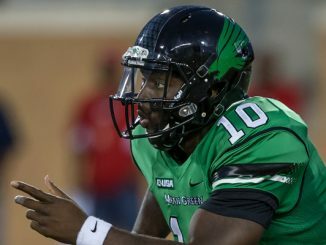 The Mean Green trailed 40-28 after the first half, and it may have looked like the Mean Green would not recover, but they refused to quit, and managed to stick around to the very end. However, as I said earlier, despite the valiant effort, it wasn’t enough to come back and win. 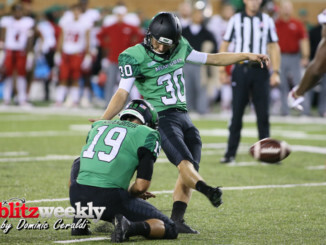 This has been a very tough season for the Mean Green. They had hoped that this would be their breakout season after all the talent they acquired during the off-season, including Eric Katenda, who transferred from Notre Dame. This is the fourth year in a row that the Mean Green Men’s Basketball team finished with a record of .500 or under. There’s been a lot of question and concern on whether Mean Green Head Coach Tony Benford will stay or not. With one year remaining on his contract, it would probably be ideal to let him finish it out. Give him one more chance. The Mean Green finished their 2015-16 season with a 12-20 record. But it’s time to put that behind. It’s time to focus and get ready for next season.